Administrators are able to see some system stats on their dashboard page. They can see how many new users are registered for the current month, number of total users, number of banned users and number of users who still have to confirm their email address. They can see the latest registration and registration history graph for the current year. 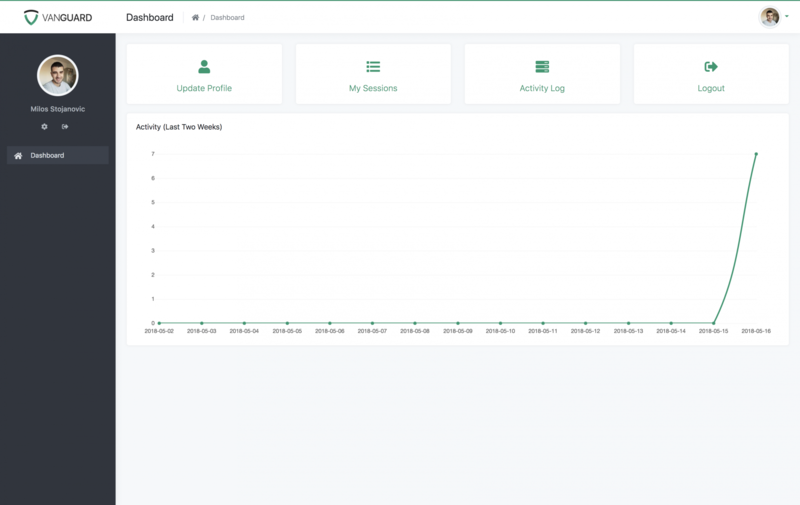 Users also have their dashboard where they can quickly navigate to some parts of the system, and where they can see their activity graph for last two weeks. The activity graph is based on their Activity Log, and represent a number of actions for each day in last two weeks.